Umesh Singh, senior scientist at the International Rice Research Institute (IRRI), has been named acting representative for India and Nepal. Dr. Singh is replacing J. K. Ladha who recently completed his term for the said post. Dr. Ladha is returning to IRRI headquarters in the Philippines to continue his research. Dr. Singh is noted for his outstanding work in rice research and for promoting improved seed systems across South Asia. He is also the South Asia regional coordinator of the Stress-Tolerant Rice for Africa and South Asia (STRASA). As IRRI representative, Dr. Singh will continue to strengthen relationships and oversee IRRI’s current research and development activities with the two countries. Some of IRRI’s current R&D activities with India include exploring rice genes, breeding improved varieties, improving grain quality, fine-tuning rice farming systems, and coping with climate change. With Nepal, IRRI is developing a seed business model involving key seed specialists, government officials, private companies, and community groups or cooperatives. IRRI and Nepal are also working on enhancing the rural poor’s access to improved agricultural technologies, especially in stress-prone areas. IRRI’s collaboration with the two countries has resulted in hundreds of improved rice varieties that are pest and disease resistant. 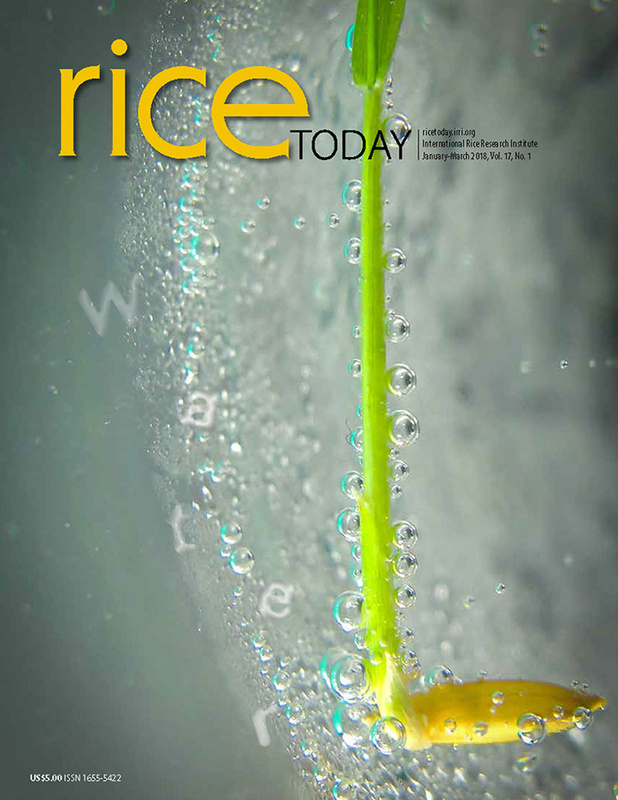 Recently, a number of climate-smart rice varieties, which can withstand drought, flooding, and salinity, have been released in India and Nepal. These varieties have reached millions of farmers in the two countries and are helping increase and stabilize rice productivity despite climate change. Dr. Morell is hopeful and confident that IRRI partners will extend their support to Dr. Singh as he takes on these responsibilities.